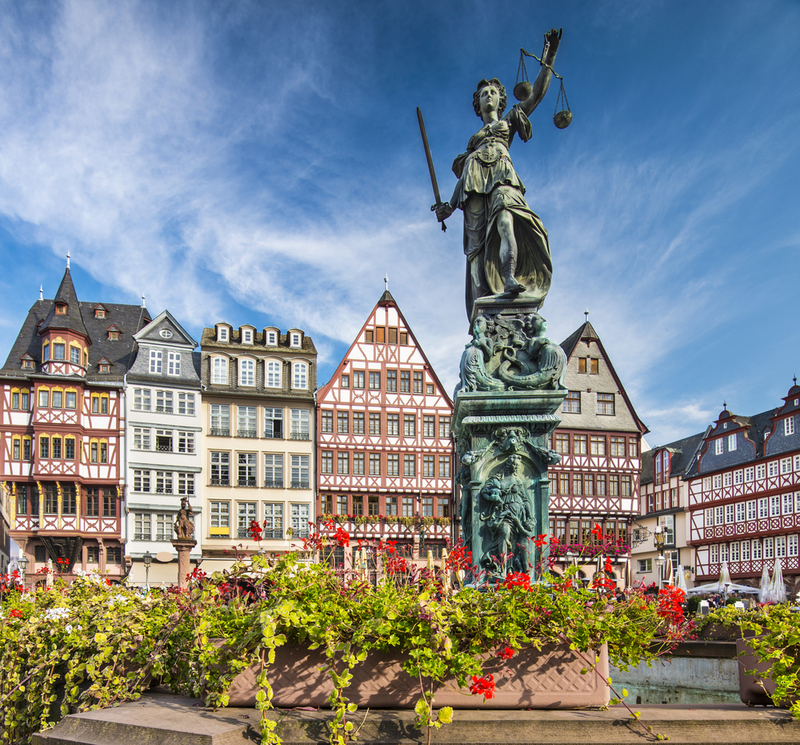 As we drove through the narrow streets of the German village, I was struck by the obvious fact of how foreign everything seemed. The unreadable (to me) road signs, the tall brick houses hugging the road, and the smell of fresh bread wafting from the local bakery reminded me that we were far, far from our U.S. home. I felt as though we'd stepped onto the set of a movie! I pictured leisurely strolls to buy pastries and family day trips to view the nearby castles or enjoy the flowers that dotted the countryside. But we had another mission as my husband drove that day. I brought myself back to the task at hand--getting through the written exam for my European drivers' license. 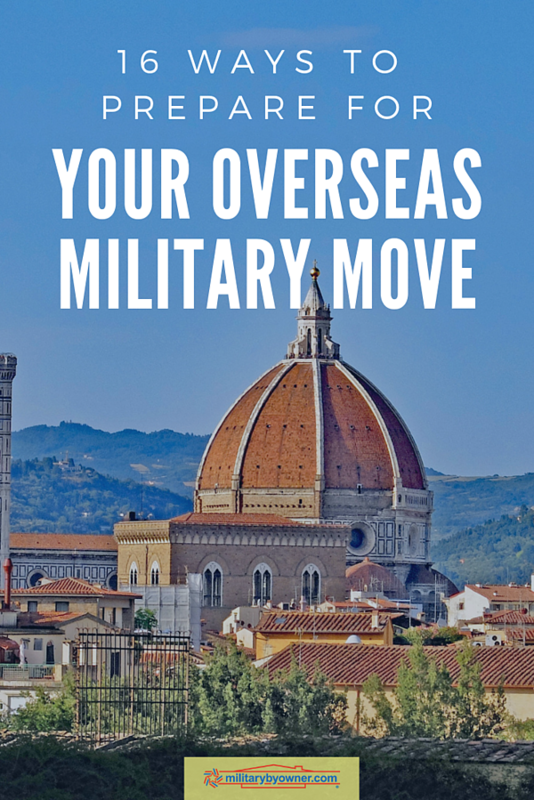 If you're one of the lucky military families with orders to move overseas, this is an exciting time, whether you're heading to Germany or Japan! Like I was, you may already be dreaming of the travels you'll take, the ways you'll immerse your military kids into a new culture, or the foods you'll try. And while that's a rewarding part of overseas living, you'll have to get through all the practical logistics first. Whether you're excited, a bit anxious, or a little bit of both, let's break it down with this quick list! 1) First things first. We've done the research for you! 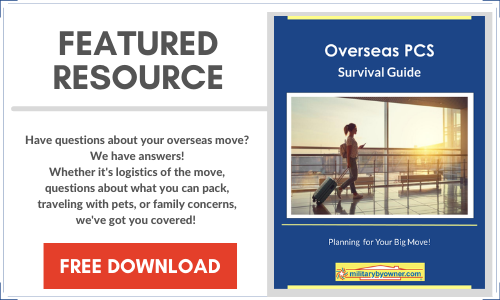 Get loads of details for your overseas move in MilitaryByOwner's Overseas PCS Survival Guide. 2) You can start some prep work, but don’t bother doing too much without those all-important PCS orders in hand. 3) Take a look at Move.mil, the official DOD moving portal. You'll find information about household goods shipment, shipping your car, scheduling, and more. 4) Check in with your Transportation Office (TMO). This is where you'll coordinate all things move related. Find your local or receiving office with this handy Transportation Office locator. 5) If you plan to ship a POV (your vehicle), visit PCSmyPOV. The government will pay to ship one vehicle, so if you have more than one, you'll have to decide if you'll pay to ship it yourself, sell, or leave behind. 6) Do some scouting with a quick search of the overseas base website and Facebook page. 7) Connect with your overseas sponsor. This individual will help you with any questions you have about things like housing, schools, and other nuances of the local area and should be assigned to you, but you may need to check with your receiving location. 8) Military kids are entitled to their own sponsor, too--someone of similar age who already lives where you're headed. Find out more in our post, Ease the PCS Transition with the Youth Sponsorship Program. 9) Double check your travel documents. Is your passport up to date? Will it expire while you’re living overseas? Will you need a visa? 10) Start early with pet travel plans, vaccinations and quarantine requirements. 11) Plan for extra room in your budget now and set aside extra cash for expenses that are bound to crop up. 12) Pay attention to important paperwork or IDs, for instance, your driver’s license. Get it renewed if it will expire while you're overseas. 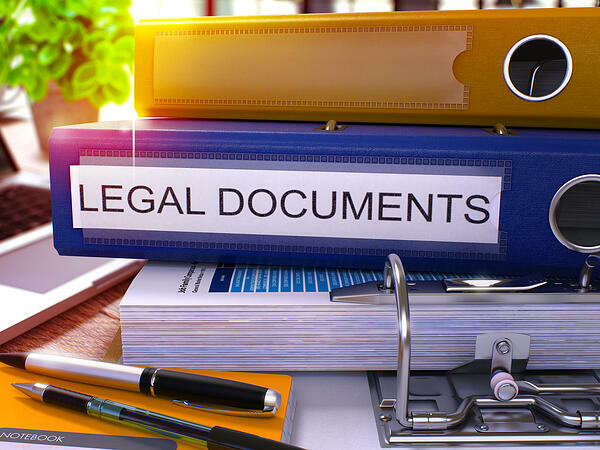 Make copies of important documents like marriage certificates and leave with trusted family or friends. 13) Start downsizing. Determine if you'll put items in storage or will need to sell/leave things behind, as overseas housing tends to be smaller. This is part of the member's weight allowance that is separated from other Household Goods and is shipped via an expedited mode because it's needed immediately or soon after arrival at the destination and prior to the arrival of Household Goods. This typically occurs with an OCONUS move. Examples: May consist of personal clothing and equipment, essential pots, pans, and light housekeeping items, collapsible items such as cribs, playpens, and baby carriages; and other articles required for the care of dependents. If necessary, you can also ship a small amount of professional books, paper & equipment in your unaccompanied baggage shipment. 15) Think about items that may be hard to come by in your new location. Ask for tips from your sponsor and plan ahead--things like refilling needed meds, purchasing eyeglasses, or even favorite staples you'll want to either hand carry or ship in your HHG. 16) Plan to leave irreplaceable items behind and don't ship them overseas. 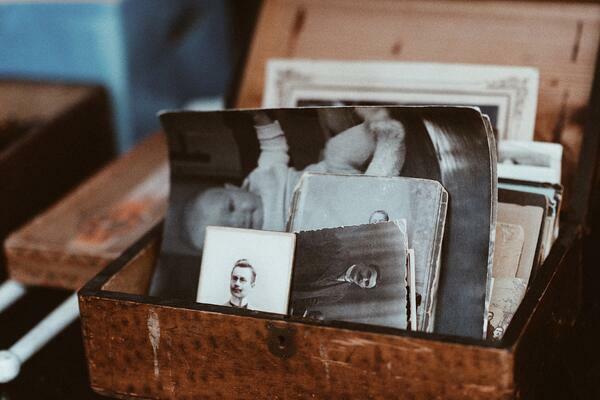 Your wedding dress, old photos, or antiques that could be damaged may be best left behind. ...and then get ready to explore your new home, and maybe even make some travel plans! We want to hear from you! If you're moving overseas yourself or have had previous assignments out of the U.S., what advice would you give?